It has been over a year since we saw Deepika Padukone on the big screen. The actress was last seen in Sanjay Leela Bhansali's Padmaavat. She took her time after that, but picked the best possible project to do next. Deepika will be seen playing the role of an acid attack victim in Meghna Gulzar's next film, titled Chhapaak. The movie's shooting began today, and to announce the same Deepika shared her look from the film. Complete with prosthetics and a wide smile, Deepika's look bowled everyone. Too many celebrities have commented on the picture on Instagram. Adding his name to that list is Deepika's husband, Ranveer Singh. 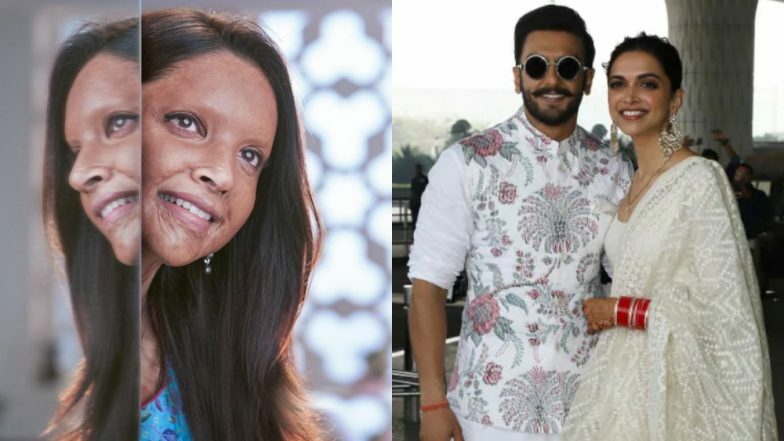 Chhapaak First Look: Who is Laxmi Agarwal, The Acid-Attack Survivor Played by Deepika Padukone? Ranveer's comment can be found on Deepika's picture. He is cheering for his wife with the most powerful words. As the internet tells the ladies, find yourself a guy who comments on your pictures like Ranveer does on Deepika's. He wrote, "Astonishing. What a remarkable prospect. Proud of you baby. I love you. Go get 'em," Kangana Ranaut's Sister, Rangoli Chandel is Busy Showering Praises on Deepika Padukone's First Look from Chhapaak. Deepika won't only star in the movie, but she will also be co-producing this one. "It's a very important story and it's a true life incident, so hopefully good things will come out of it," she had said earlier. We are eagerly waiting for this important story to be told on the big screen. 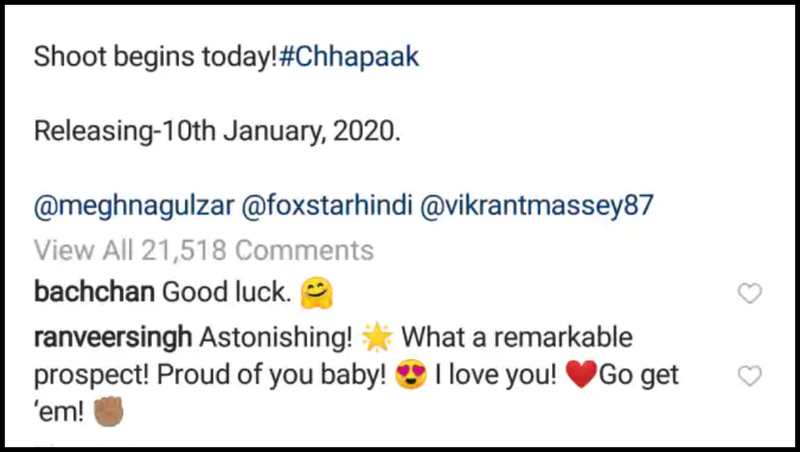 Chhapaak, as announced today, will release in January 2020. That is a very long time but we can wait, because we sense a marvel coming our way.